Social Circus is the application of the art and culture of the circus to help address social issues such as social isolation, impact of trauma, violence in communities and/or lack of access to arts and cultural activity. In 2016, the American Youth Circus Organization (AYCO) announced a network of recognized Social Circus programs. Amy Christian, Artistic Director of Wise Fool New Mexico, was one of the national consultants that helped shape the program criteria. 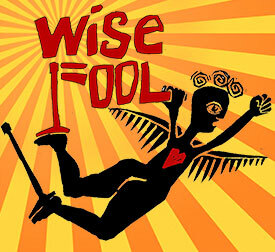 Wise Fool was among the first four companies recognized for their Social Circus programs. How does Social Circus "change lives"? 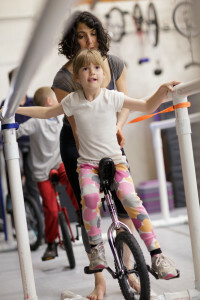 Circus develops physically confident, healthy, individuals who understand the capabilities and limits of their bodies. 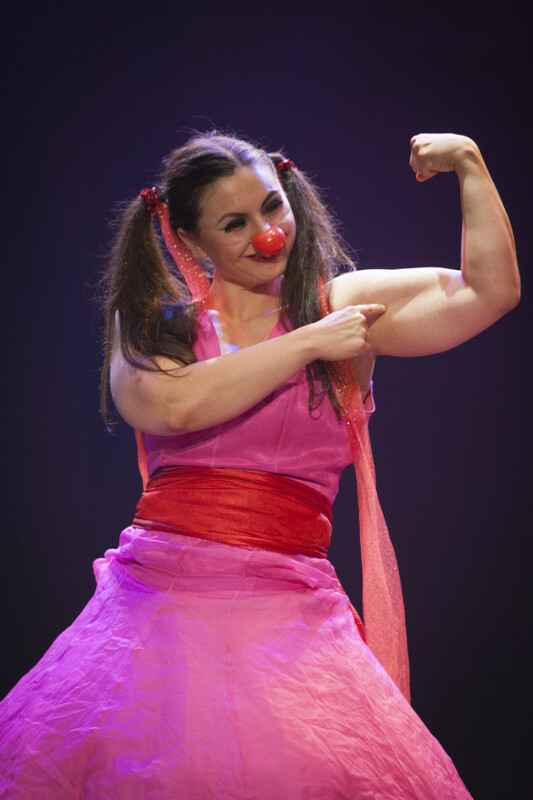 Circus presents adaptable challenges for everyone. 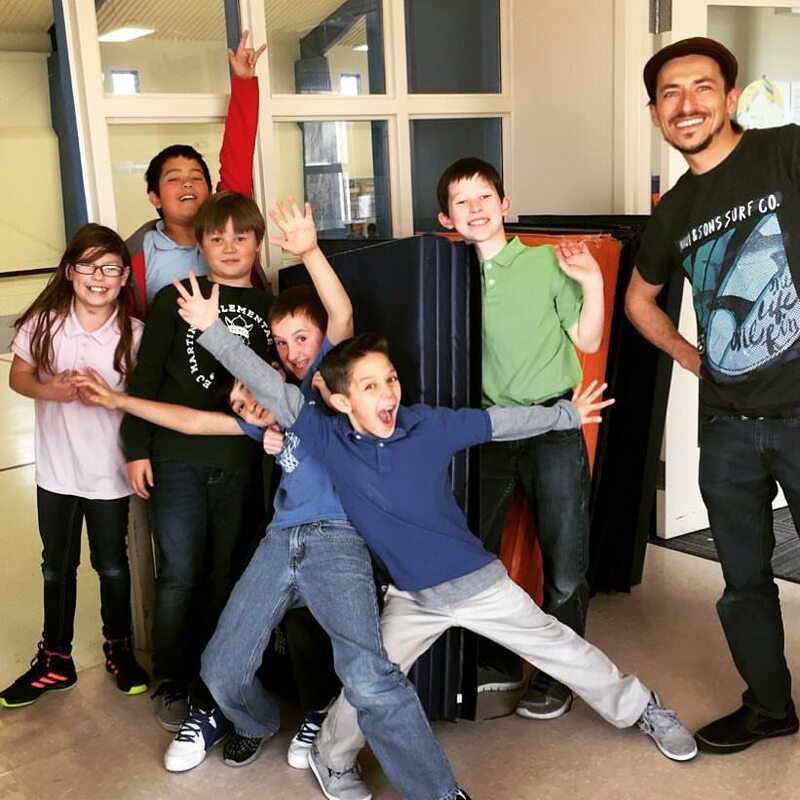 Students with all different body types and physical abilities can identify and work toward realistic, ambitious personal goals leading to feeling of confidence and success. Circus fosters human connection and belonging. In the circus we must rely on each other to keep us safe and supported often through scary and challenging moments. 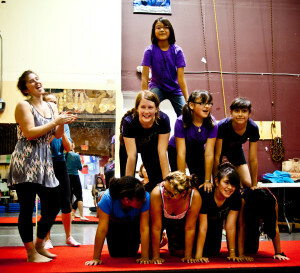 Thus circus students learn to ask for and give help, developing positive relationships and communication skills. Circus builds tenacity and resilience. Circus provides a safe container for the repeated practice of risk taking, failure and recovery. Students experience the rewards of focused work towards a personal goal, developing perseverance and enabling them to transcend their own and society’s assumptions. By supporting ongoing creativity, invention, and effort, circus teaches us to reach beyond what we thought possible. Circus encourages civic engagement and citizenship. Circus works in a circle, where everyone has a voice, diversity is affirmed, and everyone has an important job to do. The work of creating circus mirrors constructive engagement in community. Participants learn how the group succeeds or fails by the actions of each person. The experience of performing, of being seen, of giving of themselves for their troupe and audience, raises our understanding of our own power to do good, as well as the community’s perception of individuals as contributors of unique and valuable gifts. Interested in reading more about Social Circus? Click thru the links below to articles and websites with more info! What Social Circus programs does Wise Fool offer in Santa Fe? 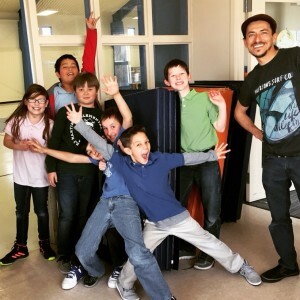 We bring our Circus Comes to School Program into public schools reaching over 600 youth annually. Our TeenBUST program is a two week summer intensive for underserved middle school girls. 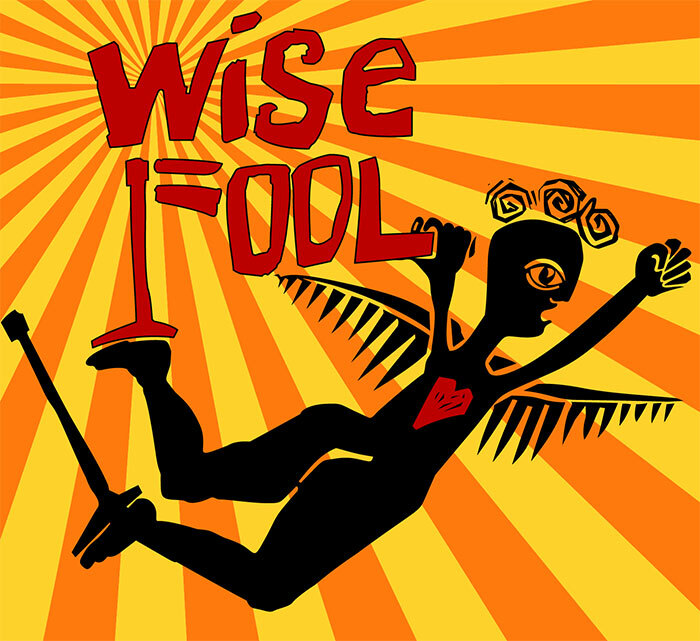 Wise Fool is also at the forefront of developing and offering Social Circus programs for adults - check out more about our BUST program here click here.